Kell Brook might be the biggest welterweight ever. At Friday’s mandated seven-day weigh-in for his fight next Saturday against middleweight champion Genady Golovkin from O2 Arena in London, Brook came in at 167.8 pounds, nearly five more pounds than Golovkin’s 162.9. 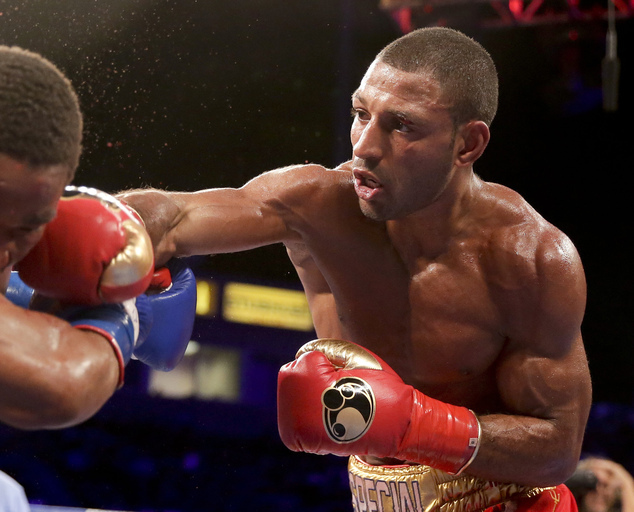 Brook, of England, holds a world title in the welterweight division, which is 147 pounds, and will be moving up two weight classes to challenge Golovkin. The middleweight limit is 160. The bout will be televised by HBO. Chances are, Brook will be the bigger man the night of the fight. By all accounts, he had been having to kill himself to make 147. This entry was posted in Inside Boxing blog and tagged Gennady Golovkin, HBO Boxing, K2-Promotions, Kell Brook by Robert Morales. Bookmark the permalink.